You do not have to be involved in a high-speed accident that leaves your vehicle totaled in order to suffer losses, injuries, or trauma. In fact, even low-speed accidents can cause substantial injuries that can be life-altering. While high-speed accidents are more likely to cause trauma or injuries like broken bones, traumatic brain injuries, or other very visible injuries, low-speed crashes are more likely to result in soft tissue injuries. These injuries include sprains, strains, muscle damage, tendon damage, and spinal column tissue injuries. It is very common for symptoms of these injuries to appear a day or two after the accident. Sometimes it may be a week or more before you begin noticing significant pain from these injuries. Because some of these injuries are not visible and symptoms can take a while to appear, proving that the injuries and pain you are experiencing were caused by the car accident can sometimes be tricky. Though doctors are aware that these injuries are legitimate and may take a while to present symptoms, insurance companies will grasp at anything they can to discredit your complaints. Personal injury attorneys with experience handling car accident cases are very familiar with the tactics insurance companies use to avoid compensating you for your injuries. They are also very familiar with effective methods for countering these insurance strategies. A Missouri car accident attorney will know how to prove that any soft tissue injuries you sustained were caused by the car accident and will have access to experts who can testify, if necessary. Types of car accidents that often cause injuries are rear-end accidents, failure to yield accidents, accidents caused by drunk drivers, and side-impact accidents. In comparison with the rest of America, fatal accidents occur 3-4% more often in Missouri. Each year, over half of all fatal auto accidents are single-vehicle accidents. 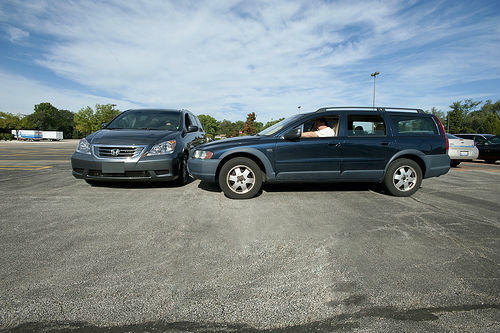 In 2009 in Missouri, there were a total of 75,264 car accidents, resulting in 29,922 injuries and 652 fatalities. Auto accidents are the leading cause of death for teenagers in America. Drivers age 15-20 make up only 6.7% of America’s drivers, yet they are involved in 14% of fatal accidents. Auto accidents can be very serious and are very often fatal. In fact, auto accidents are one of the leading causes of accidental death and injury in the United States. Because of the prevalence of these accidents, all states have regulations relating to car insurance. Any time you are injured in an accident caused by another driver’s negligence, you should be able to recover compensation for your injuries either from the other driver’s insurance company or your own, depending on your circumstances. It is in your best interests to discuss your accident with a Missouri car accident attorney if you have been injured and wish to recover compensation. You are entitled to compensation for losses and injuries caused by the car accident, but the amount you receive can vary greatly. The expertise of an attorney who has years of experience handling car accident cases improves your chances of getting maximum compensation. This is especially true if you get in an accident with an uninsured motorist. Contact The Hoffmann Law Firm if you have questions about an accident you or a loved one were involved in. Your initial consultation is always free. Call (314) 361-4242 to speak to an Attorney now!